I just signed up with Instagram on my Windows Phone, using 6Tag, which allows new account creation, upload directly from a new picture or one already in your library, as well as browsing and tagging other photos. 6Tag has a robust set of filters, and getting robust investment from the developer. Good stuff. FacebookÂ is used by other people in my life who tag me. I rarely use it to publish, too restrictive. SkydriveÂ is used to share photos with a selected group of people, such as a team at work, family members, and some friends. The Office Blogs app is a RSS reader on the Windows Phone platform, covering news, tips, how-to for the programs in the Office suite. Includes coverage of PowerPoint, Word, Excel, OneNote, Access, Office 365, and more. v1.3 isÂ a quick update to reflect new branding and colors with the latest release of Office. This app is a Windows Phone exclusive, available for download here. Works with both WP7 and WP8 devices. If you don’t have a Windows Phone, point your favorite RSS reader at the main feed from the Office Blogs site to get the latest. Each of the apps on the blog site have their own feeds, so you can narrow coverage by choice. Each app feed is available on their respective home pages. 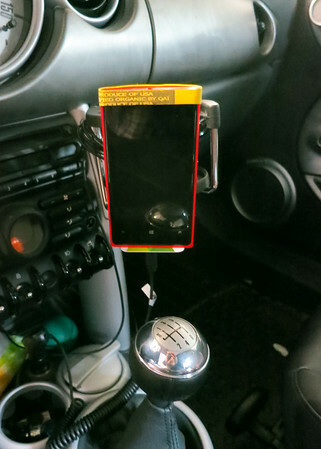 I wanted to try out the new Nokia Drive beta GPS program, and realized I didn’t have a car mount for the Lumia 920 yet. So I quicklyÂ taped together two old credit cards, added a fold and hole for the adapter, and put two hooks on the back for mounting on the drink holder. Took about 10 minutes to zap together. You can adjust ‘settings’ to other phones as well. 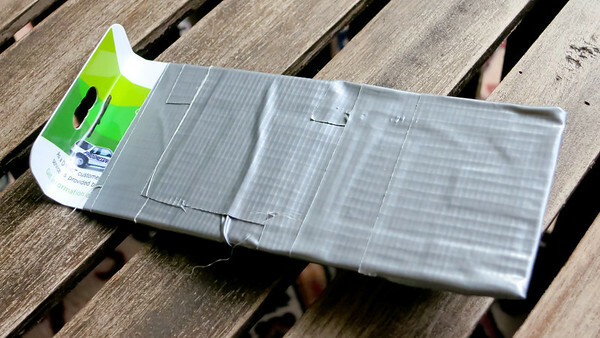 Tape two credit cards together with duct tape. Punch overlapping holes for the bottom cable, fold enough to hold the phone. 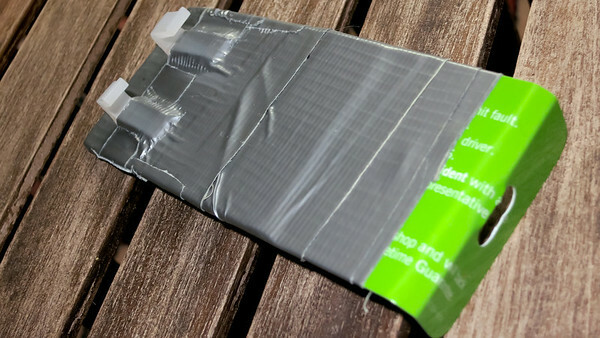 Add two plastic hooks on the back, tape securely. I grabbed these from some random packaging. Seat the phone in the holder, secure top with an organic ‘Made in the USA’ rubber band (or close copy). Back hooks attach to cup holder. You can still add a cup or bottle to the holder. The mount works securely in traffic. Need to adjust the rubber band so that it doesn’t block the top of the screen where text messages appear. Press POWER button and START button simultaneously to capture a screen. Each capture is stored as a PNG file in your albums. I use a variety of apps and saved web pages on my screen. Most of them are self describing. The empty black space aligns where my thumb hits the screen…I keep it empty for a visual break among the meadow of boxes and so I don’t inadvertently launch an app. I have two tiles for me: one near the top is for social catch-up, the one on the bottom is for professional use where I can just Tap-and-Send contact info as a business card. I try to group other like-minded things: email, Office, maps, games, weather and traffic. Settings tile currently stays high as I’m using it to fine tune colors. Best used app not many people know about: RAD Now! …a free app with weather radar weather imagery. All real estate is subject to change at any moment, I must have rearranged tiles and sizes at least a dozen times over the past week.